proaches, not Another Great Training Robbery. Interestingly when I interview some small;l SMEs in North Lambeth about 10 years ago several were open to taking on premises but felt they wer too small. 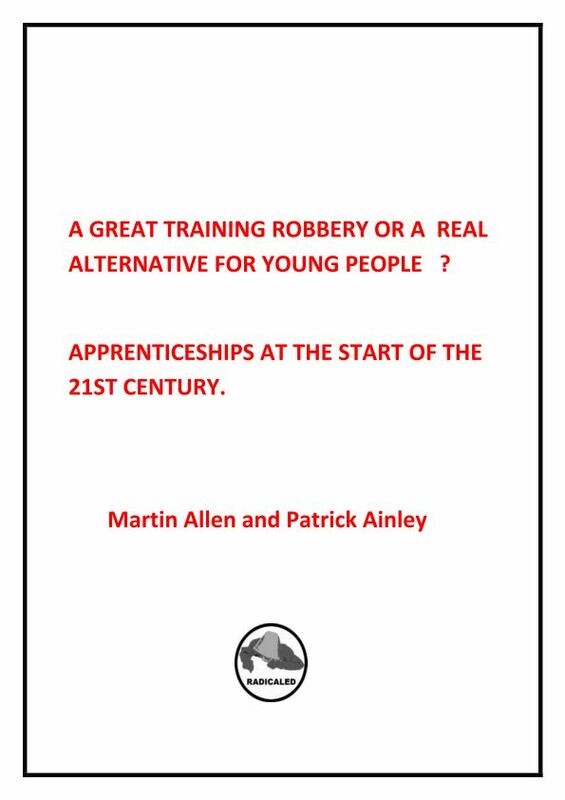 One said that their experience was they need 8 employees to be able to offer a proper apprenticeship to each apprentice. I thought I had added you to my Ediary list as I include some of your postings in it. It goes to about 400 people round the country many on sympathetic networks. I attach the two latest issues.